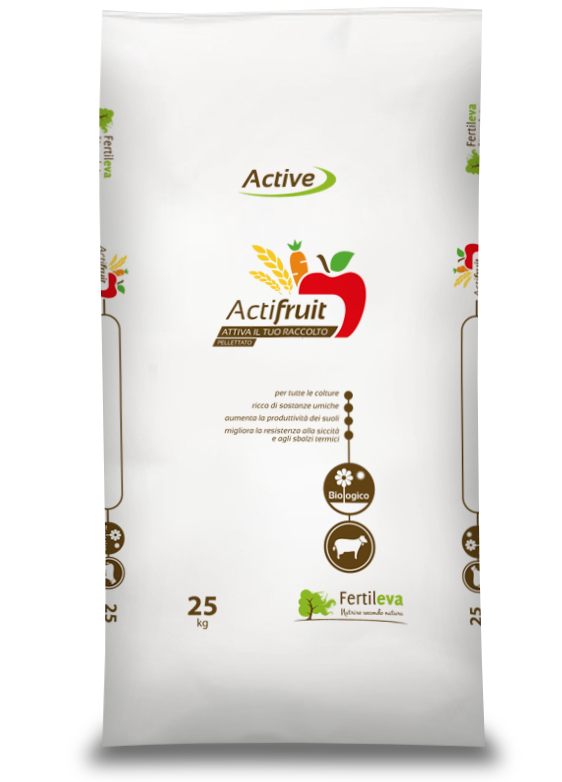 ACTIFRUIT PELLET is suitable for all farming including: TREE (fruit, olives, grapes and citrus fruits), HORTICULTURAL (potato, tomato, pepper and fennel) and HERBACEOUS (GRAINS FALL winter crops – wheat, barley, oats and rye; alternated FODDER – ryegrass, clover and bean; Renewal cultivations – corn, sorghum and chard). NP organic fertilizer with high agronomic efficiency due to nitrogen and phosphorus slow release which significantly limit the losses to erosion and insolubility. The high organic carbon content of biological origin also helps to improve the physical, mechanical and biological properties of the soil. Sulfur-based corrector with addition of mixed composted soil conditioner. 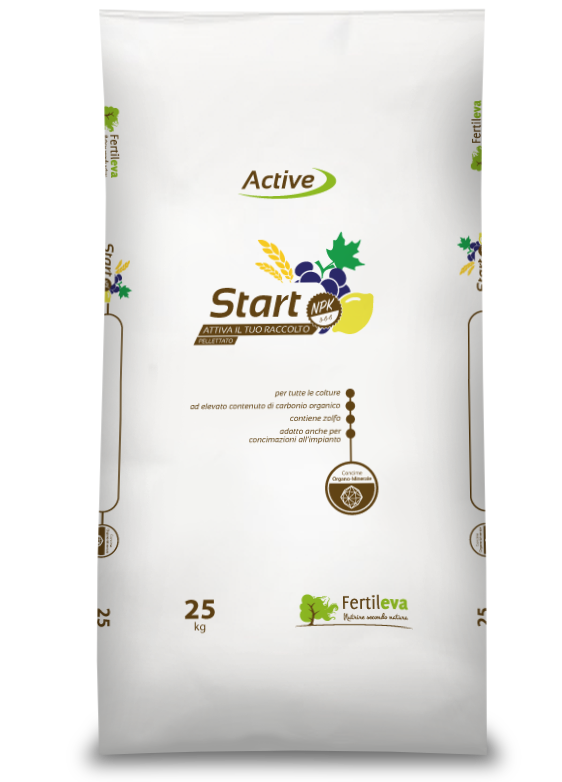 It corrects the alkaline and saline soils. Ideal for all acidophilic cultivations.